Security guard company success depends on a lot of factors. 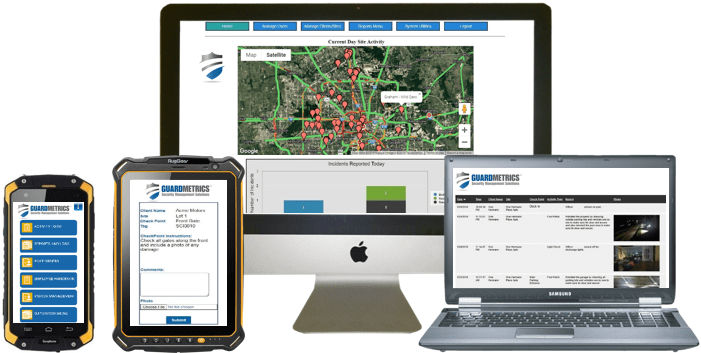 Efficient and affordable guard company software from GuardMetrics can accomplish a LOT of it for you! Set your business apart with the advantages of security guard management software. Streamline operations for your officers, supervisors, administrators and your clients. We partner with our customers to help you win more new clients and increase retention rates! Get configuration design, support and operations consulting from a GuardMetrics expert for easy deployment of guard tour and incident reporting technology. Cloud-based security operations automate scheduling, tracking and reporting. This can reduce staffing costs, operating expenses and resources. Offer your clients irrefutable proof of performance with real-time guard tour and incident reporting technology including patrol monitoring complete with time stamps and geo tags. Accurate deliverables and real-time tracking secure your reputation, help you attract top talent, and increase your clients’ confidence in your ability to perform!